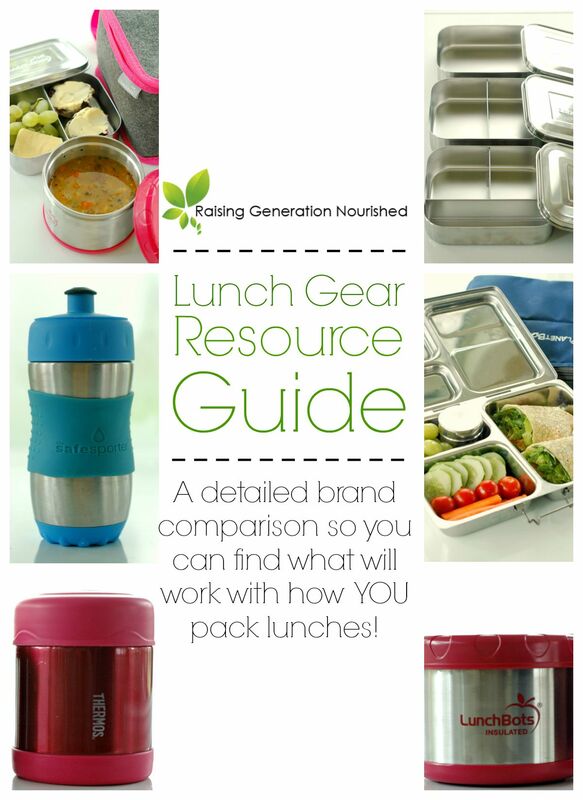 School Lunch Gear Resource Guide :: A detailed brand comparison so you can find out what works with how YOU pack lunches! This comprehensive resource guide will provide you the perfect help to choose what school lunch gear & packing routine will work out best for YOUR family. With back to school right around the corner, I decided that this year instead of just showing you how I will be packing my first grader’s lunches, I wanted to provide you a resource guide to help you choose what gear and packing routine will work out best for YOUR family. Since we all run different households, there really is no right way for going about the lunch packing thing! 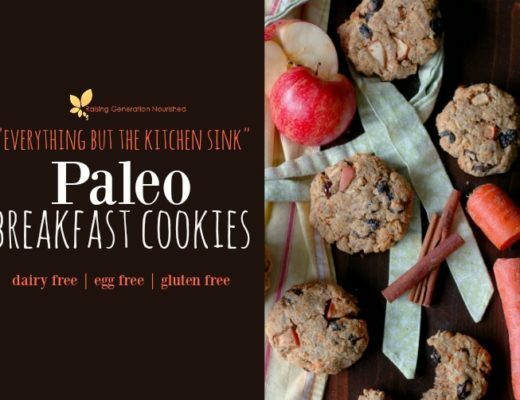 We are also all at different places in our real food journey, so while I do tend to pack a lot of homemade soups and dinner leftovers because that is what works for me, I absolutely understand that not everyone is there – and maybe those kind of meals are more breakfast or dinner for your family! If you are planning on packing dinner leftovers and soups at least 1-2 times per week, then you need to pick a system that works with leak-proof thermos. If packing up dinner leftovers and/or soups is not in the plan (which is totally ok! ), then your options are a little more open. I think it is safe to say that the “bento” box style containers have really become popular – and for good reason. They are so convenient, compact, and portable. Picking a stainless steel brand will reward you with lunch gear that will last years. I have a couple friends that have had their PlanetBoxes for 7+ years! What a great money saver to not have to buy new lunch gear and throw away plastic baggies every year! Planetbox has 3 lunchbox styles. 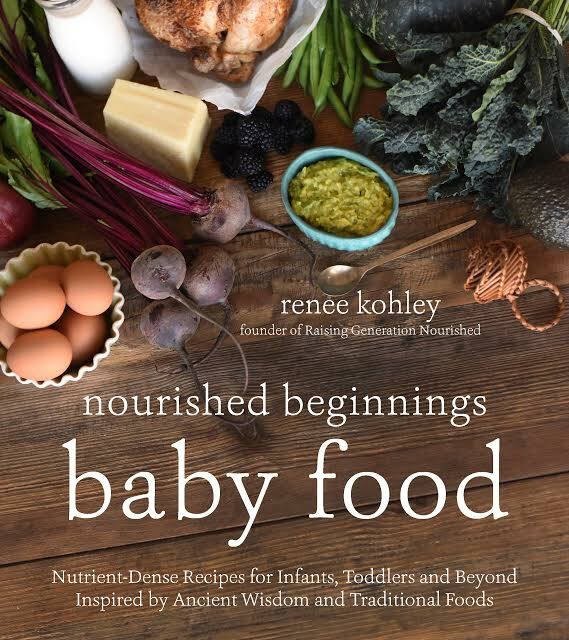 Depending on the age of your child, the different styles will hold the right amount of food, and still be super compact and portable. PlanetBox has a lunch bag that specifically fits each PlanetBox style. They have a slender ice pack that slides right in and a water bottle pocket too. **If you prefer to shop Amazon, you can get your PlanetBox there too! LunchBots offers multiple free flowing containers with different compartment amounts so you can choose what container works with what you are packing for that day. The “Uno” container has one slot and is great for a whole sandwich or wrap, or salad. The “Duo” container has 2 slots and will work nice if you are packing a soup in the thermos and want to pack along a muffin or biscuit and some fruit to go with their thermos of soup. The “Trio”, “Quad”, & “Cinco” have 3, 4, and 5 slots and are more like a traditional “bento” box. You could fit a whole lunch in these with maybe a banana on the side or the Uno container with a salad. I opted to get the stainless container “set” which comes with the Uno, Duo, and Trio together at a discounted price. Since my daughter takes along soup/dinner leftovers at least 1-2 times per week, these free flowing containers work well with a thermos. 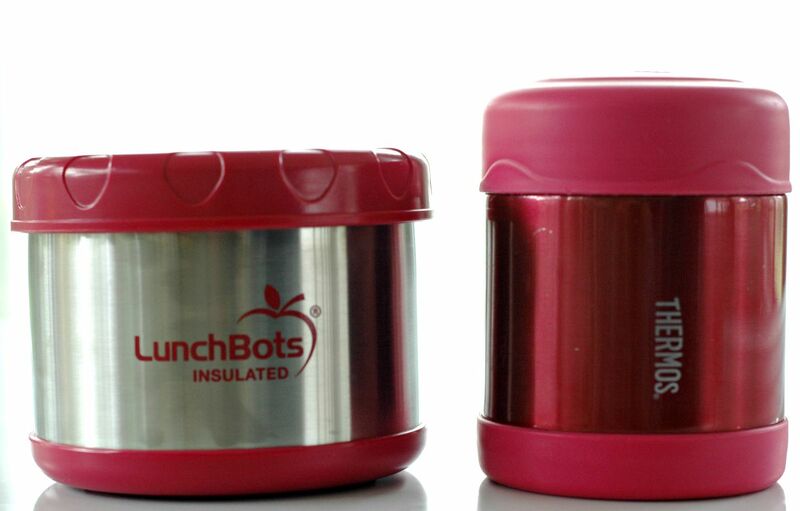 The LunchBot’s lunchbag fits multiple LunchBots containers at one time along with a water bottle. I played around with multiple set ups and it really does fit a lot. LunchBots also has leak-proof condiment containers for dips, dressings, and spreads. The lids on these were a little harder for my first grader to manipulate than the PlanetBox condiment containers – but fit in the LunchBots containers better. I honestly only have one recommendation here. Keep it simple. I seriously love my Kid Basix Safe Sporter . There are no parts to take out and clean, no straws to rinse out…you get the point. I want easy to clean. It fits in any lunchbox – including the PlanetBox bag and the LunchBots bag described above. I have had my water bottles for 4 years now and they are in great shape. I also like Kleen Kanteen’s bottle with a simple spout (there is a small 12oz for the little kids , and an 18oz for the big kids ) . Eco-friendly and easier cleaning is always good in my book! 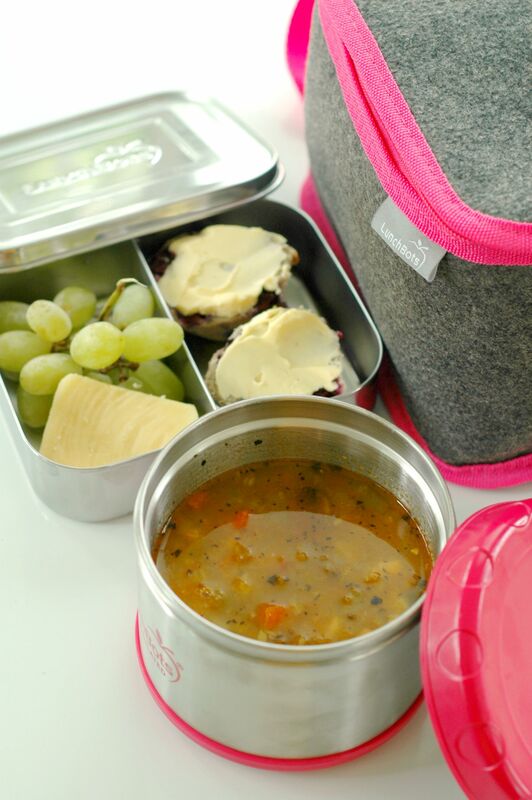 If you are planning on packing soups and/or dinner leftovers, a good thermos or two is a must. I like having more than one because a lot of times I will take dinner leftovers right from the pot or pan into the thermos before I have her thermos from that day washed. Thermos Funtainer is the brand we used last year and I have no issues with them! They worked very nice all year, I threw them in the dishwasher instead of washing by hand more often than not, and we used them at least 1-2 times per week all year. My then kindergartener could manipulate the lid on these well. I decided to try a LunchBots thermos out this year – some because I was just curious, and some because I did need a new thermos anyway for some other uses in the family. So far I am happy with how it keeps food warm – and I actually like the wider opening because it makes it feel a little more like a “bowl” to eat the soup easier from. My now first grader can manipulate the lid on this as well despite being wider than the one she was used to. The LunchBots thermos fits the best in the LunchBot’s bag. It holds 16oz which is more than my 1st grader needs for lunch – but again I kind of like how there is room left at the top to manipulate a spoon easier or stir in some cheese. 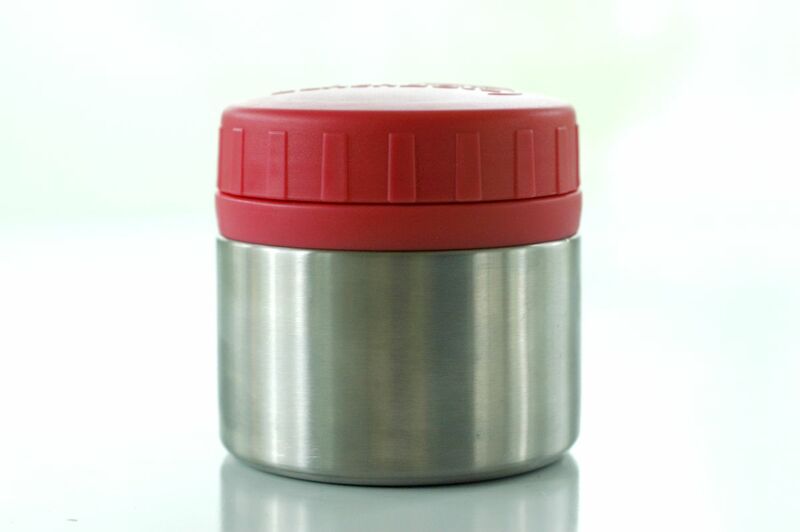 LunchBots also has a “thinner” style thermos like the Funtainer – I have not tested this one out. It is 12 oz. I also have their 8oz smaller thermos on my wishlist to use if I ever want to pack just a small cup of bone broth (think herbal tea etc!). There is definitely a method here. I spent the first month or so of last school year figuring out how to pack up the soup and keep it warm – without spending a bunch of extra time in the kitchen in the morning. Thermoses really need to be “tempered” before putting the warm food in there to keep it warm from early morning until lunchtime. In my case from about 6:30am until noon. My method is to run the sink water to the hottest it will go, and fill up the thermos with the hot water. I don’t take the extra time to boil water for the thermos to temper it at all. Just hot water out of the tap, put the lid on, and once your soup/dinner is warmed up you can dump out the hot water and pour in the soup. Sometimes I do this right when I get up in the morning and it sits there for 20 minutes or so before I get to the soup. Either way works. 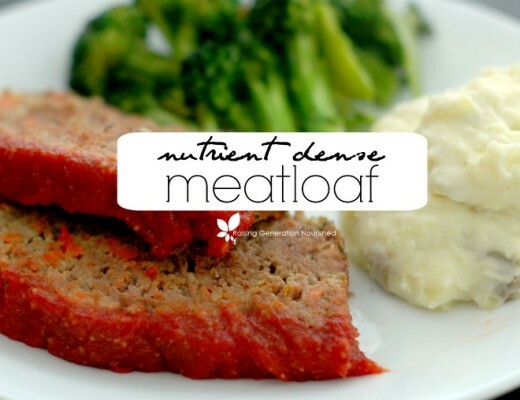 I do have a tip for dinner leftovers like stir frys, meals with rice, or soups with noodles. Since the starch tends to soak up any leftover liquid, I splash a little water or bone broth in the pot when I warm it up. It makes things stir better while warming them up. I got one of the 8oz rounds for yogurt. It is a nice size so I can make it “fruit on the bottom” yogurt and still have room for her to stir the fruit in. There is also a 4oz round that I think would be great for hummus or guacamole to dip! I pack my own silverware from home. I have a hard enough time keeping track of my own at home, I don’t need extra utensils to wash and not lose 🙂 My silverware packs up just as good in the lunch gear and I didn’t have to buy anything extra! I love my stainless steel straws at home, and they work really nice for liquid soups like broccoli soup or tomato soup. It keeps things less messy, and the kids can eat these kind of soups easier/quicker with a straw I think, especially the littler kids. My stainless straws from home fit right in lunchbags as well. I’ve got my gear! Now what do I pack?! Great post. 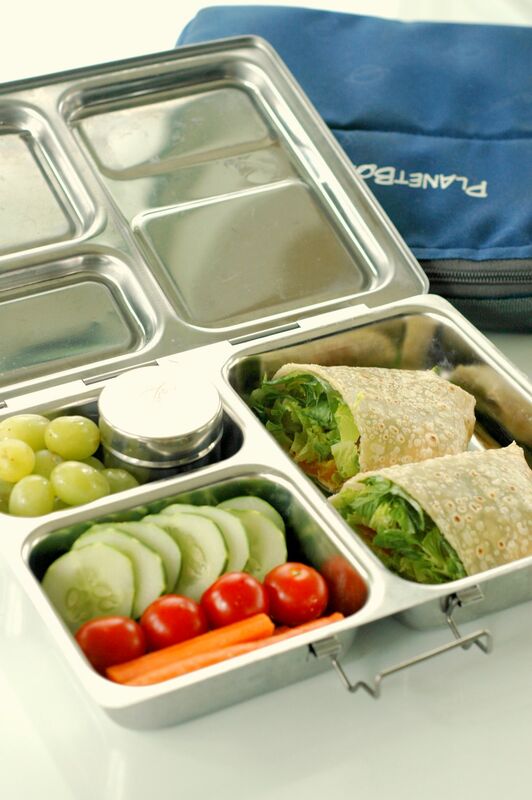 I love our planetbox lunch gear! I have been looking for a good thermos- thanks for the tips! Hi Steph! Oh that is so great – and exactly what I was going for! So glad it was helpful to look at all the options before buying them! Happy school year to you and your kids! Sounds like it is going to be a fun year! Okay, Renee! This post is simply the BEST!!! Thank you so much for taking the time to thoroughly explain each option. I’m sitting down right now ordering lunch gear with confidence–thank you!! Oh great Kristin! I’m so glad it was helpful! Happy school year to you! Wow this is great! Thanks for putting so much time into this post and sharing it with us. I love our Rover PlanetBox and I need to get some of the insulated LunchBots ~ I think those will work great for my family. Regarding Thermos…my daughter had a hard time opening Thermos when she was in Elementary school. Even her teachers had a hard time. I have an adult Thermos now it still gives me trouble. Hot liquids expand and opening it later is an issue. I have to wait until it cools before I can open the lid. You dodn’t have that problem? I have watched Chloe do her thermos and she does fine – I know there are times I probably put it on too tight and she has said her teacher had to help her open it. They eat montessori/family style in the classroom so there is plenty of hands to help if needed. I would suggest the children practice at home and that yes if it gets too tight from expanding then ask a lunchroom aide for help. Also keep in mind that I think tempering the thermos by putting the lid on with hot water in there helps get the thermos warmed up so it won’t need to expand as much. I hope that helps! This is great! 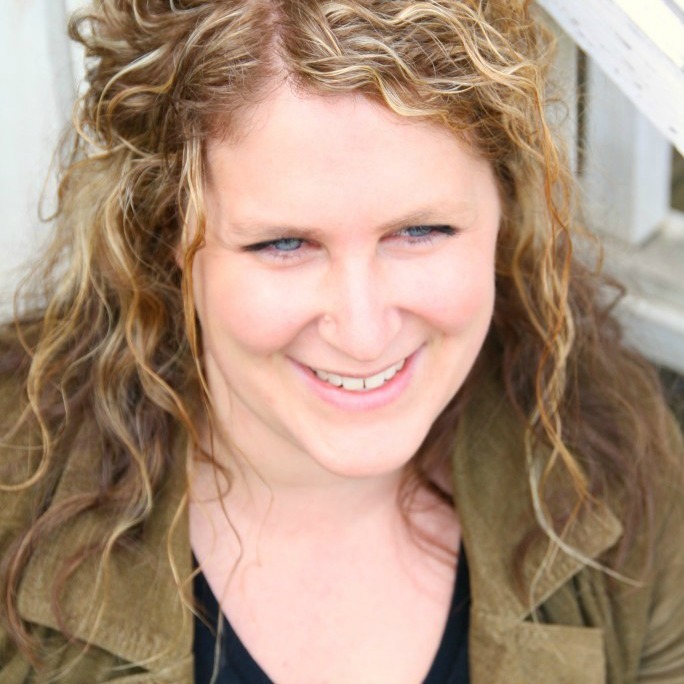 Even though we homeschool, we are often on the run and these options will work for my kids (and maybe even my husband). Well, I think you covered everything! Pinned and sharing! Renee, thanks, this is really helpful. I am trying to choose a thermos for my daughter. Does Lunch Bots make an all stainless steel one? I think they had one on Amazon that is no longer available. I’d love to buy it through you… ? Hi Megan! 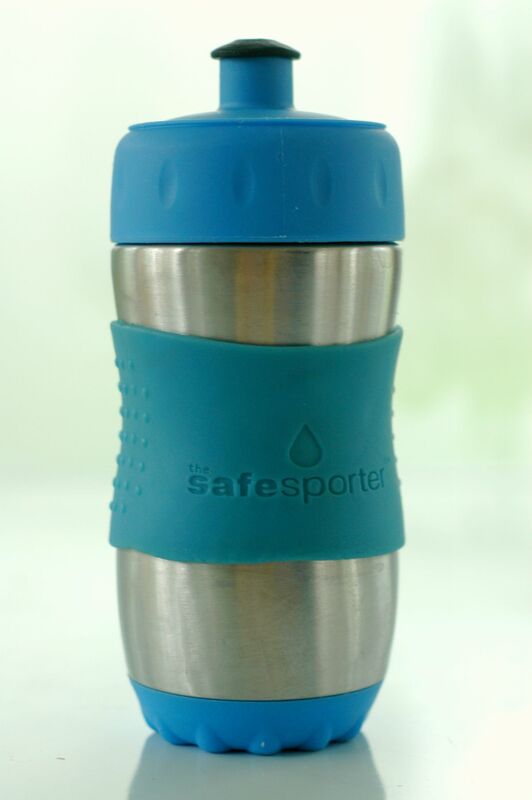 I have not been able to find a thermos with a stainless spout – they are all stainless in the bottle but the spouts are always something other than that. PlanetBox just launched the “bottle rocket” this year but the spout on that looks silicone. The Kleen Kanteen and the Kid Basix in this post are the closest thing to all stainless that I have been able to find! I wouldn’t mind having my own fancy lunchbox like that! I love the thermos options too! Thanks for all the information! I wanted to check…does the Lunch Bots bag hold the rectangular container, a thermos, and a water bottle all at once? Thanks! Hi Tammy! Yes they all fit! You can search the hashtag #rgnschoollunches on my Instagram and see my daughter’s lunches – the ones with the thermos, rectangle box, and water bottle all fit in the lunchbots lunchbag! Hi Sarah! That is a GREAT question. And I really need to get into this post and update it, because that is changed now! Planetbox came out with the snack containers with leak proof lids. I use them for wet fruit, yogurt, and even cold noodles or stir fry. They are the circular ones with the “Sili Lids” – the Rover comes with one. I bought 2 for my older girls’ Launch boxes and LOVE them! Also, the “Pods” help keep food from mixing up if you are packing the food in the same compartment – I have a bunch of extras of those too and use them daily!